The degree to which children acquire language skills is a strong predictor of future academic success, educational attainment, employment and income. 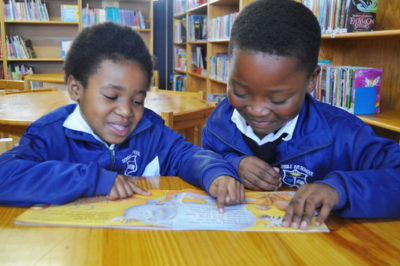 In fact, reading is a powerful tool to tackle poverty and inequality: when children read for pleasure, it has a greater effect on their educational achievement than their family’s socio-economic status. There is thus a need for both early literacy interventions that directly support young children and for programmes that equip parents and caregivers to become more involved in their children’s learning. In this learning brief the early literacy experts at Wordworks share implementation lessons that shed light on factors that draw volunteers into programmes and help sustain their involvement over time – read it here.